Checkout 51 vs. iBotta | Which Will Save You More..
Home » Deal of the Day » Checkout 51 vs. iBotta | Which Will Save You More..
You have probably seen the ads advertising grocery rebate apps and websites. These savings platforms allow you to get cash back on your grocery purchases. Who doesn’t love saving money? A quarter here, 50 cents there, a dollar here really adds up in the course of a shopping trip. 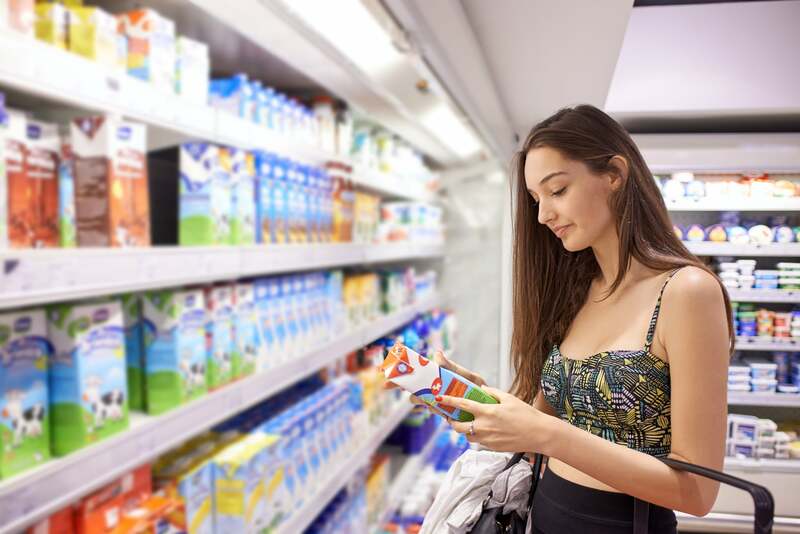 There are many savings platforms out there, but two are favored by those who do a fair amount of grocery shopping in store: Checkout 51 and iBotta. These two sites are in constant competition with each other. Which one should you choose to help you save on your next grocery shopping trip? These two savings platforms can help you save hundreds of dollars a year by buying food and other items you already buy at your local grocery store. They operate basically in the same manner, although they each have a few quirks that differentiate them from each other. Many app users have their clear favorite. So is Checkout 51 or Ibotta the better choice for your shopping habits? Let’s take a closer look at both of these savings platforms. 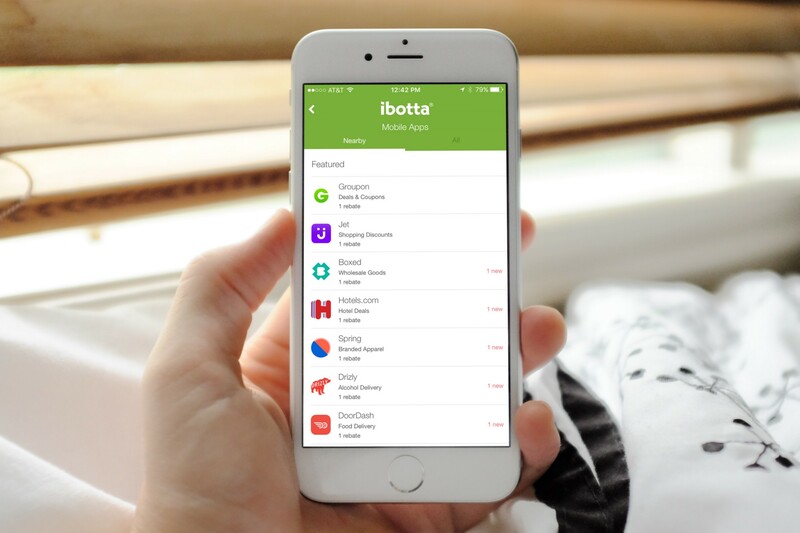 Bottom Line Up Front: We like iBotta because it works in more stores. Checkout 51 is a cash back app that gives you rebates for buying things that are already on your shopping list. You can use a computer or tablet to view offers and get cash back as well. Simply browse the offers, note the items you want to buy (you can place a star on items you’re interested in) and upload the receipt via your phone or scanner. It’s that easy! You can shop online or in store and save money. New offers arrive every Thursday and last only one week, so you must act quickly. Plus, others can claim these offers – which are limited – so by the time you go shopping, it’s possible the offers could be gone. The number of rebates at Checkout 51 are limited, but there are opportunities to receive $1 or more back on certain items. If you are buying multiple items, some qualify for bonus offers. Once your purchases have been verified, you will receive cash back in your account. Once you have earned $20, you can redeem your earnings for a check. You can use Checkout 51 for online purchases. iBotta is for brick and mortar stores only, so if you’re an online shopper, this is where Checkout 51 can really come in handy for you. You can shop in store or online and save. If you choose to shop online, just make sure to keep the packing slip as proof of purchase so you can receive cash back for that purchase. You may be able to claim some offers multiple times. When you tap on the offer, you can view limits and other restrictions. You can use coupons and other discounts. Use Checkout 51 with manufacturer and store coupons and other deals to save even more money. Save more with “Pick Your Own Offer” bonuses. Every week, you are given a “Pick Your Own Offer” rebate for certain produce items, such as salads, bananas or grapes. Use this opportunity to save money (usually 25 cents or so) on produce items. You can shop at any store. You are not limited to shopping at certain stores, unless the coupons specifically says so (like save $2 on diapers at Target). Most rebates are not store-specific, though. If you live in a rural area and shop at a local store, you can still save money. You don’t have to make a purchase at a major retailer to earn cash back. Offers are in limited quantities. You must check that the offer is still available before you shop and then make sure you upload your receipt right after you shop. If you don’t act quickly, someone else could claim your offer. You have a limited time to upload receipts. If you’re a procrastinator, this app isn’t for you. Offers go live at midnight on Thursdays and expire the following Wednesday at 11:59 p.m. You must upload your receipts while the offers are live. Otherwise, you’ll miss out on your rebates. You have to buy the exact product listed. It has to be the right brand or size or else you won’t get your cash back. The selection is not the best. The number of deals is always growing. However, when compared to iBotta, iBotta is the clear winner. You are paid by check. Once you reach $20, you can cash out your earnings. But then you must wait for a check to arrive in the mail. There are no options for PayPal or other forms of quicker payment. iBotta is a cash back and coupon app available on both Android and Apple devices. You can also use it on your computer. There are many offers and rebates to choose from. However, before you can receive an offer, you will be asked to perform various tasks, such as watching a video, reading a recipe or participating in a survey. Once you complete a task for a rebate, you will then need to purchase the item to get cash back in your account. You must, however, make sure you buy the item at one of the 300+ stores that are iBotta participating retailers. Before you can get cash back, you must submit proof of purchase. You will need to scan barcodes and submit the receipt. This is where things can get tricky, because you will need to upload these items perfectly or you won’t get credit. iBotta then verifies the purchase. Once you reach $20, you can choose to get paid via PayPal, Venmo or a gift card. There are many rebates and bonuses. You can even receive cash back for buying alcohol. When you buy a certain item multiple times, you can receive more cash back. By redeeming a certain number of rebates by a deadline, you can receive bonuses as well. You can still use coupons. Use the iBotta app along with store and manufacturer coupons to increases your savings even more. It’s easy to use. Unlike Checkout 51, you have to do a task first to unlock the rebate, but it’s easy to do and worth the hassle. Just follow the directions and you’ll be earning money in no time. iBotta works in more than 300 stores. You can save at hundreds of grocery stores, convenience stores, restaurants, clothing stores, movie theaters, pharmacies and pet stores. Also you can save when booking travel. You can save money on things you already buy. It’s difficult to find coupons for bread, eggs, milk and other staples, so iBotta helps you save money on these necessities. You don’t have to buy specific brands or purchase high-end items in order to save money. There are a couple different payment options. Once you reach the $20 threshold, you can have your money deposited in a PayPal or Venmo account. You can also opt for various gift cards. There are many retailers to choose from, including Amazon. Many people opt for gift cards so they don’t lose money by paying PayPal fees. Refer friends and get more money. When a friend receives their $10 bonus, you’ll get $5 deposited into your account. iBotta can only be used at brick and mortar stores. If you’re an online shopper, you’re out of luck. iBotta cannot be used on online purchases at all. You must actually shop in a store and receive a hard copy receipt in order to earn your cash back rewards. The list of stores is limited. iBotta cannot be used everywhere. If you don’t shop at a major retailer, your savings are going to be limited. There are a lot of steps involved. The instructions are easy, but getting the cash back requires multiple steps. You have to perform a specific task before you can qualify to receive a rebate. After you make the purchase, you will need to upload the receipt and scan the barcodes on the qualifying item. You will then need to wait for your rebate to be approved and deposited into your account. You must follow all these steps in order to receive the rebate, and this may be time-consuming for some people. Now that you know more about the benefits and drawbacks of Checkout 51 and iBotta, which one should you choose? Since both basically work the same, it will depend on where you shop and what you buy. Ibotta offers more rebates and can be store-specific, but Checkout 51 is easier to use and can allow you to save on produce and in other departments were coupons are scarce. If you’re having trouble deciding, why not choose both? Both are free and easy to use. You could try both Checkout 51 and iBotta to determine which one saves you more money based on where you shop and what items you buy. You have nothing to lose and money to save, so your bank account ends up winning either way. I’ve started using ibotta in march of 2018, and the “only brick and mortar stores” is completely not true. Ibotta has lots of mobile shopping deals, its just a percentage rather than a set amount of cash back.